Tea comes from the leaves of the plant Camellia sinensis, a warm-weather evergreen. 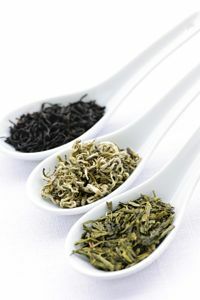 Although there are countless uniquely flavored varieties, you can divide all tea into four basic categories: black, green, oolong and white. The information below applies to true tea, not to herbal teas, which come from leaves, roots, seeds or flowers of other plants. Cultures have historically used tea for providing health benefits, spurring research into tea and cancer risk. Numerous phytochemicals in tea are now being studied for their cancer-preventive actions. Much of the research has focused on green tea because of its high levels of the well-studied compound epigallocatechin gallate (EGCG). Tea contains manganese along with caffeine and other phytochemicals. 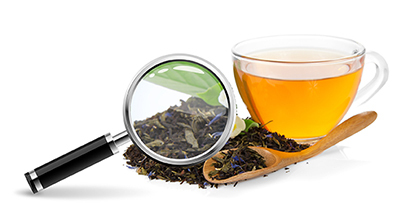 After a systematic review of the global scientific literature, AICR/WCRF’s latest report concluded that the evidence was too limited in amount, consistency and quality to draw any conclusions about tea and cancer development. The report found limited evidence that greater tea consumption might decrease the risk of bladder cancer but evidence is too limited to reach a conclusion. Source: Food, Nutrition, Physical Activity, and the Prevention of Cancer: a Global Perspective, 2018. There are thousands of studies related to tea and cancer risk. 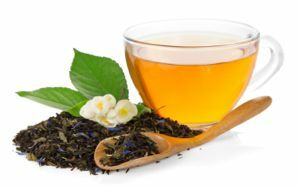 The majority of studies focus around tea's catechins–a group of phytochemicals that fall under the large category of polyphenols. Different types of teas contain unique amounts and types of phytochemicals. Most lab research has focused on green tea and the catechin EGCG, its most active compound. Based on laboratory tests, EGCG is a stronger antioxidant than vitamin C or E. Other polyphenols in tea include thearubigins and theaflavins in black tea. These compounds also show antioxidant properties in lab studies. Cell and animal studies show EGCG tea polyphenols directly inhibit development of various types of cancer. They appear to act throughout the cancer process: stimulating enzymes that shut down carcinogens, decreasing tumor growth, increasing self-destruction of cancer cells, and restraining the spread of cancer cells. Like many lab studies that focus on individual compounds, some use amounts of EGCG that are equivalent to amounts far higher than people typically drink. Small human studies show that drinking tea can temporarily raise our cells' ability to have antioxidant activity, a term known as antioxidant capacity. Antioxidants can stop the possible damaging effects of unstable molecules called free radicals. A balance of antioxidants and free radicals is necessary for good health, but it is unknown what levels of antioxidants protect against cancer. Some population studies look at green and black tea separately, but others look at total tea consumption. Results of population studies are often inconsistent, with some showing potential for reducing risk of several cancers, including prostate and colorectal. The inconsistent results may reflect variations we don’t yet fully understand due to the type of tea and how it’s prepared, genetic differences, and impact of other lifestyle choices, such as smoking, drinking alcohol, and exercising. Several small controlled intervention trials of green tea preparations show promise in decreasing development of prostate cancer, and other studies are underway. But far more research is needed. Green tea has a delicate flavor and its color resembles the fresh tea leaf. In processing, the leaves are not fermented (oxidized). Oolong tea’s flavor is halfway between green and black tea. The leaves ferment for about 2 hours creating a darker color, but still slightly delicate flavor. Black tea has a darker color and stronger flavor that come from the oxidized phytochemicals such as thearubigins formed as tea leaves ferment. Leaves are oxidized for 3-4 hours. White tea is a more expensive tea that is least processed of all. Its flavor is very delicate and slightly sweet. EGCG content (though not necessarily total antioxidant content) is even higher than green tea’s. Ready-to-drink bottled tea is convenient, but it often contains added sugar, so read the label to find the unsweetened versions. Although it is much lower in polyphenols and total antioxidants than brewed tea, unsweetened bottled tea is a refreshing way to replace sugary drinks. 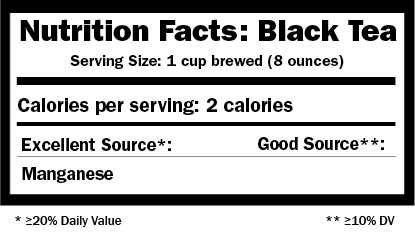 Black tea has one-third to one-half the caffeine of coffee and green tea’s content is even lower. Decaffeinated teas have only a trace and although they lose at least half of their polyphenols, decaf teas still contain good amounts. To retain fresh flavor, store tea in an airtight container in a dark, dry cabinet away from heat. For the tastiest brewed black tea, bring filtered water to a boil and pour water over tea, using one teaspoon loose tea or one tea bag per cup. Steep for 3 to 5 minutes. Green tea is best brewed with water at a slightly lower temperature. After the water boils, let it sit off heat for about ten minutes and then pour over the green tea. Steep for about one minute, more or less, to taste. Oolong and white teas taste best brewed with water at 180-190 degrees F. Steep Oolong tea 5-7 minutes and white teas 3-4 minutes. Do you prefer tea with milk? One study shows adding milk removes tea’s benefit to blood vessel function, but limited human trials show that milk does not block absorption of flavonoid phytochemicals or the resulting rise in antioxidant levels. Chai tea offers the added flavor and phytochemicals of ginger, cloves and other spices. 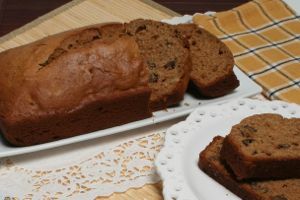 It usually also contains milk and a substantial load of added sugar, so calories add up, especially as portions increase. When you want tea with a slightly sweet taste, experiment with cinnamon and other spices. Can I get dehydrated from drinking a lot of tea? Like coffee, research suggests that drinking moderate amounts of tea can help keep us well hydrated. Tea's modest amount of caffeine can have a diuretic effect, but that is more than counter-balanced by the water we get from tea. If research is showing possible benefits from tea's EGCG, what about taking a supplement? The studies involving EGCG showing a protective effect against cancer are primarily animal studies. It is unknown what the effect would be in people. Overall, AICR recommends against taking supplements for cancer protection but instead, to get the phytochemicals and other healthful compounds through food and beverages. Research is too limited to show that high amounts of any single compound can offer protection, and in some cases it may cause harm. I love herbal teas, should I switch types to get possible health benefits? No. Actual tea and herbal tea are both great beverages to enjoy, and all contain phytochemicals. Herbal teas are made from spices and other plant materials, which may offer their own benefits. It's a calorie-free (almost) beverage that can also help with weight control, which is important for cancer prevention.